Ok… This stuff. THIS. STUFF. THIS STUFF is so exciting, I can barely find the words. Also, my fingers may or may not be sticky from licking every last drop off of my kitchen island post-photo shoot of the most amazing concoction to grace my KitchenAid, making it difficult to find the right keys… But I’m trying. 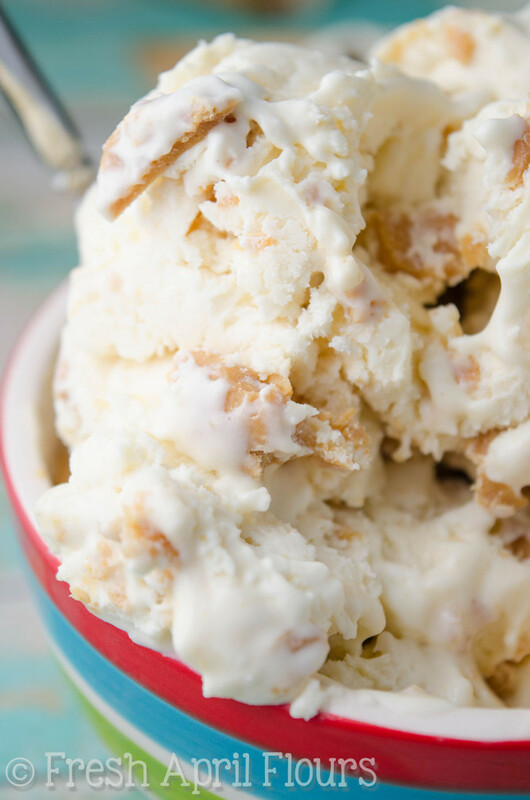 I’m sure you’ve seen this “no churn, 2-ingredient ice cream” thing floating around Facebook and/or Pinterest, yes? If you haven’t, you don’t have the right friends (kiddinggggg). I’m not sure who started it, but Buzzfeed certainly did get me curious with its cute little video all about how to make ice cream from 2 simple ingredients. I must say, I was suuuuper skeptical, but I kept seeing it over and over, and even some of my friends started making it… So, naturally, I had to try it. The basic recipe could not be simpler. All you need is a pint (2 cups) of heavy whipping cream and a 14 ounce can of sweetened condensed milk. THAT’S IT. 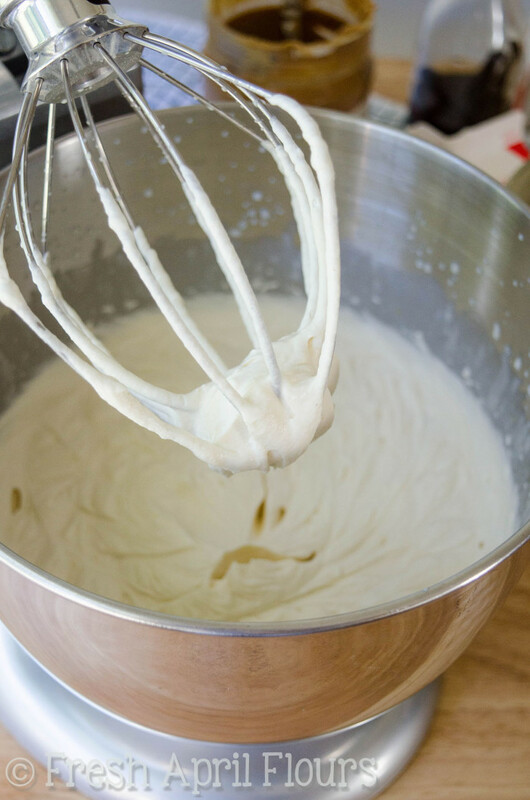 No ice cream maker, no fancy churning equipment, just a big ol’ bowl and your hand mixer or a stand mixer with the whisk attachment. Finally! A way we can all enjoy homemade ice cream in a snap! 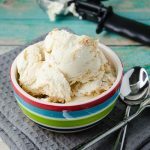 To make this ultra creamy, ultra easy, ultra smooth ice cream, combine the heavy whipping cream and sweetened condensed milk in a bowl and whisk on high until it becomes smooth and almost fluffy. This only takes about 3-4 minutes, TOPS. SO easy right? Easy peasy, you might say. One of my criteria for ice cream is that it has GOT to have chunks. Cookies & cream, butter pecan, peanut butter cup, Ben & Jerry’s Cherry Garcia (fav)… You get the idea. 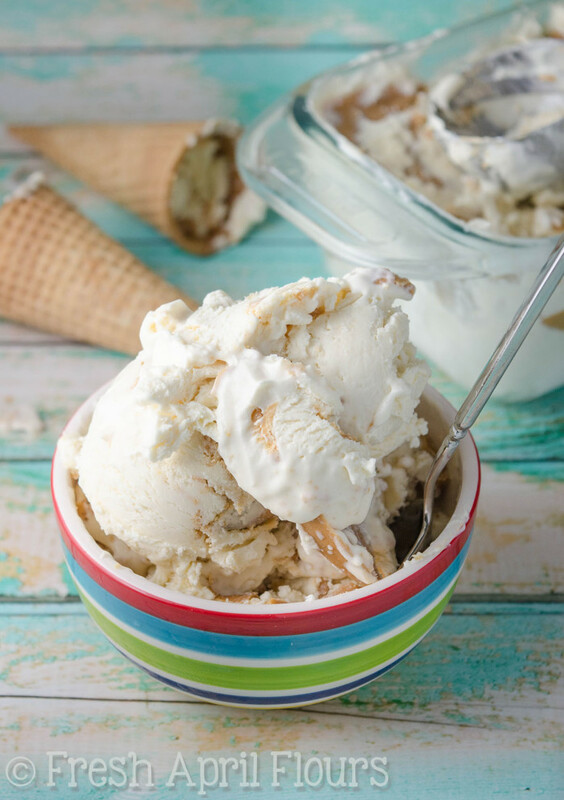 I wanted to recreate Peanut Butter Ripple, one of my very favorite varieties of the ice cream I grew up on. 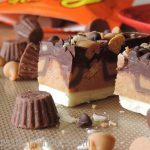 It’s full of chunky, swirly peanut butter, and it’s just divine. 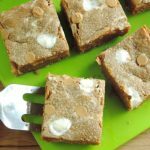 Not too sweet, and just the right amount of peanut buttery. Frozen perfection. To achieve the chunky swirls, I decided it would be best to melt some peanut butter chips rather than just let regular old peanut butter harden in the freezer. I wasn’t convinced peanut butter alone would give me the texture I was looking for. It turns out melting peanut butter chips and then letting that mixture freeze, sandwiched between layers of fluffy peanut butter ice cream is EXACTLY THE TEXTURE I was hoping to achieve in my super simple ice cream. Peanut butter swirl WIN. 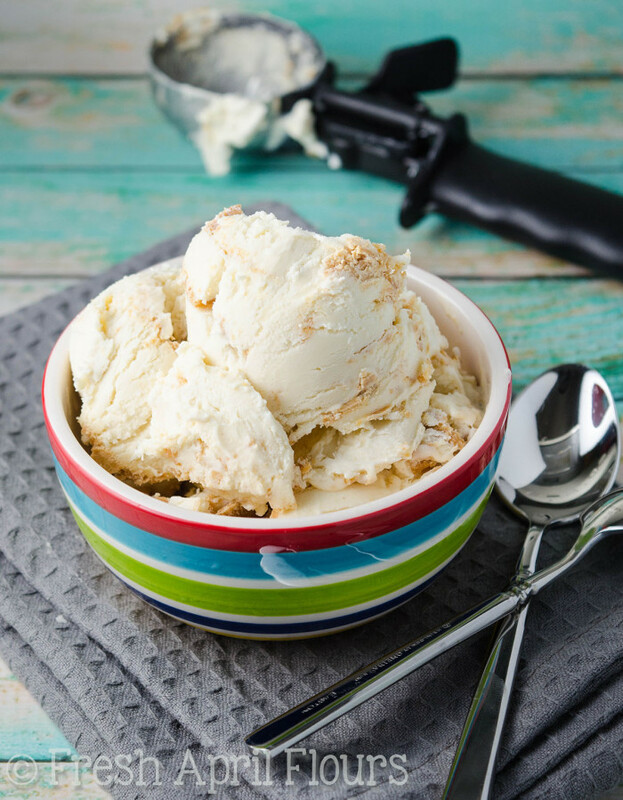 So let’s talk about how to combine these two things to make some creamy, dreamy peanut butter ripple ice cream. First, let’s start with the peanut butter ripples. I added a bit of peanut butter to my peanut butter chips, melted all of it, and let it cool while I while I whipped up the ice cream. I added just a touch of peanut butter and also some vanilla extract to my ice cream to bump up the flavor just a tad. Once the ice cream was nice and fluffy, I grabbed a loaf pan and poured about 1/3 of the ice cream mixture on the bottom of it. I topped that with half of the melted peanut butter chips, spread it around a little, added another 1/3 of the ice cream mixture, another layer of peanut butter chips, and then finally the last 1/3 of the ice cream. After all of my layers were assembled, I took a butter knife and just ran it up and down the length of the loaf pan to swirl the peanut butter around a bit. Nothing too fancy, just a little dispersing. And believe me, this does not need to be pretty. In fact… Let’s throw “pretty” out the window, because I realized there was nothing “pretty” to photograph while snapping some in process photos. Yikes. The texture of this ice cream is very much like soft-serve, so if you’re looking for hand-dipped, harder ice cream, this is not for you. I will work on one of those for later this summer! This, my friends, is suuuuuper creamy and just… Ugh. You need it in your life. Enough chatting, get to churning. Err… Not churning! Mixing! In a medium size saucepan, combine 4 Tablespoons (1/4 cup) of the creamy peanut butter and peanut butter chips. Heat over low heat until completely melted. Remove from heat and set aside to cool a bit. 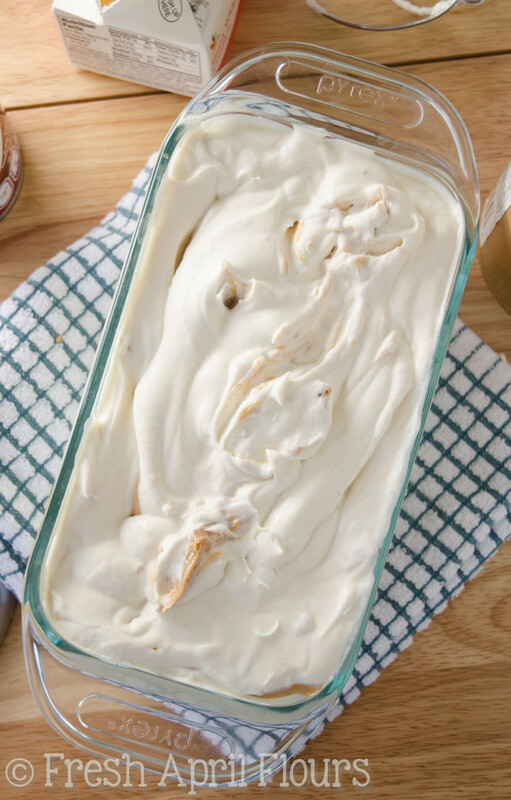 In a large bowl using a hand mixer or the bowl of a stand mixer fitted with the whisk attachment, beat the heavy cream, sweetened condensed milk, vanilla extract, and remaining 2 Tablespoons of the peanut butter on high speed until smooth and thick (about 3-4 minutes). Spoon 1/3 of the ice cream into the bottom of a freezer-safe container or bowl (I prefer a loaf pan). 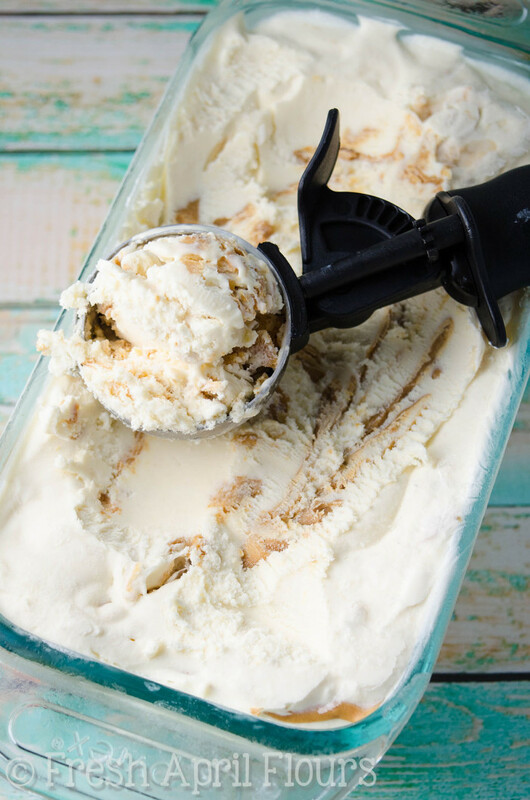 Layer half of the melted peanut butter chips evenly over the ice cream, using a spatula to spread it around. Spoon another 1/3 of the ice cream on top of the peanut butter layer, and repeat layering with remaining melted peanut butter chips and 1/3 of the ice cream. 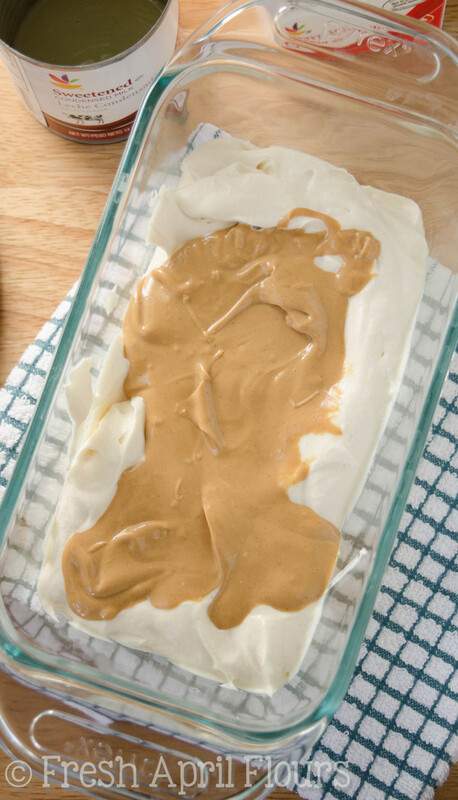 Submerge a butter knife into the container and run it up and down the length of the container to "swirl" the peanut butter. Cover tightly and freeze overnight, or at least 8 hours. 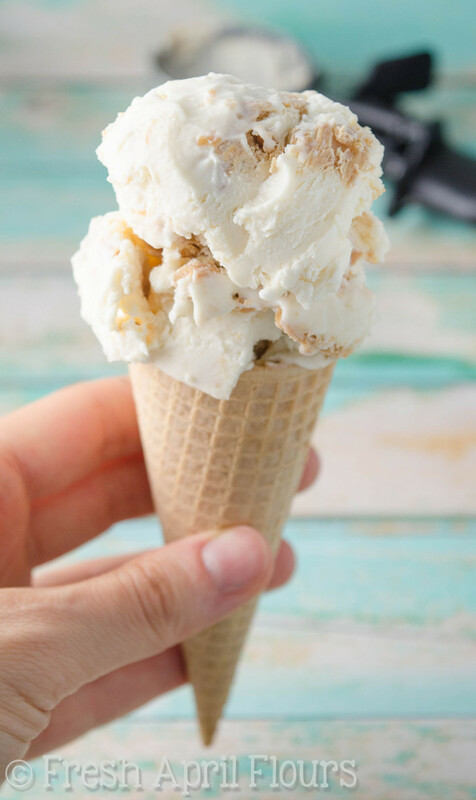 Ice cream can be stored in the freezer for up to 2 weeks. LYNN DOES IT AGAIN!!!! Oh my goodness I CAN’T WAIT to try this one out. I am a firm believer that everything is better with peanut butter and you hit a home run with this one, girlfriend. Those peanut butter ripples? I might be drooling. Wait, no. Definitely drooling. It’s cool, Leah. I totally drooled through the entire photo shoot. Matt could barely handle watching me photograph it before he snuck a bite! 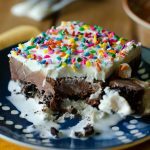 Ice cream must have chunks – I couldn’t agree more!! 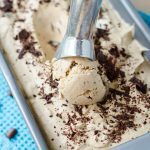 When I first made no-churn ice cream last summer, it literally changed my life! Who knew how easy it could be! And my first flavor was chocolate peanut butter….we have the same taste buds 🙂 Need to try your pb ripple flavor next!! It looks insanely delicious! It is SOOOO good, Cate! 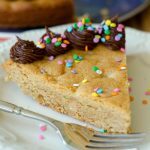 Peanut butter ripples are the best kind of ripples! Hooray for no churn ice cream! Okay, confession time, I have a pan of this in my freezer RIGHT NOW! As soon as I saw this post pop up, and after I found my very own packet of peanut butter chips I knew the universe was giving me a big glittering neon sign to MAKE THIS NOW! And so, I listened. I am saving it for dessert tonight, but I may have snuck a few teensy bites last night (quality control obviously) and oh my goodness. It tastes like the classiest soft serve ever! Ever. I cannot wait to spoon this into cute little glasses to serve after dinner tonight. So worth the massive run this morning. Thank you so much for making my Sunday night so much sweeter! “Classiest soft serve ever” <--- hahahahaha, I love it, Amy! So glad you tried it! PB ripples are the greatest! !